LEXINGTON, Ky. - April 16, 2015 - PRLog -- InterMountain Management, LLC is proud to announce the opening of the 99-suite TownePlace Suites by Marriott in Lexington, located at 1790 Vendor Way in the heart of upscale Hamburg Place. 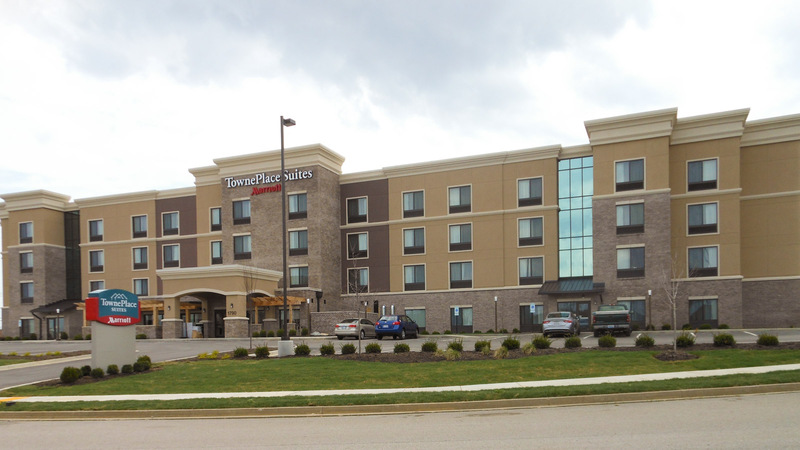 The TownePlace Suites Lexington South/ Hamburg Place is situated directly off I-75 at exit 108, just five minutes from downtown and 15 miles from Lexington Blue Grass Airport. The hotel offers guests convenient access to Kentucky Horse Park, Keenland, and the University of Kentucky. “We are ready to ‘wow’ our guests and the Lexington community with our beautiful extended-stay Marriott product and excellent service. We invite everyone to come out and experience the high value that we provide at our TownePlace Suites Marriott hotel. Our team is looking forward to serving all of your future hotel needs!” said Stacy Counihan, Area Director of Sales & Marketing. As one of North America’s largest hotel management and development companies, InterMountain Management, LLC specializes in the select-service and extended-stay hotel segments. For over 30 years, InterMountain Management’s dedication to success is proven in the results as a hotel owner, management company and hotel developer. They currently own and/or manage approximately 60 premium branded hotels nationwide, and opened their first approved Marriott property in 1994, the Fairfield Inn Shreveport, LA. For more information, or to view hotel locations across the U.S., visit their website at www.intermountainhotels.com. TownePlace Suites by Marriott is an all-suite, extended-stay hotel brand in the moderate price range. Ranked highest in the Extended Stay category in the J.D. Power 2013 North America Hotel Guest Satisfaction Index StudySM, TownePlace Suites has also been #1 for mid-price extended stays in Business Travel News' Hotel Chain Survey in 2011, 2012 and 2013. Ideal for travelers who need accommodations for longer stays, TownePlace Suites offer studio, one-bedroom and two-bedroom suites with fully equipped kitchens and separate living/working and sleeping areas. Launched in 1997, the brand currently has more than 200 locations in the United States and Canada. TownePlace Suites participates in the award-winning Marriott Rewards® frequent travel program that allows members to earn hotel points or airline miles for every dollar spent during each stay. For more information or reservations, contact the TownePlace Suites Lexington directly at 859-263-0018, call the TownePlace Suites toll-free number at 800-257-3000, visit www.towneplacesuites.com/lexts or become a fan at www.facebook.com/towneplacesuites. Other hotel amenities include two outdoor patios, a fire pit, a barbecue grill, an indoor swimming pool, an exercise room open 24 hours per day, a meeting room, complimentary wireless internet throughout the hotel and on-site business services, including copying, faxing and printing. The TownePlace Suites Lexington is pet-friendly (fees may apply) and also provides laundry facilities for their guests’ convenience.